Subscribe & save. Purchase five or more AEC Cloud-Connected Subscriptions & get up to 40% off. Limited Time Offer. Ends July 21st. Connected BIM solutions from Autodesk add the power of the cloud to your BIM workflows, helping you connect your design all the way through construction with tools that more closely connect you to reality. Connected BIM processes help you create the world’s most innovative building and infrastructure projects while managing risk, mitigating rework, and increasing profit margins. Now is the time to extend your models bi-directionally between the office and the field through cloud-based services for collaboration, immersive visualization, document management, and reality capture. Until July 21, 2017, customers who purchase 5 or more subscriptions of the following essential collaborative product tools get a discount on the suggested retail price. Choose your Cloud-Connected Subscriptions from the solutions below. Add the required number of subscriptions and your discount will appear in your cart at checkout. Cloud-based collaboration tool that lets architects, engineers, and project stakeholders work together in one central workspace, using a web browser or mobile device. Keep your project team on the latest documents, plans and models with BIM 360 Docs. Cloud service that turns Revit and Revit LT models into an immersive experience in one click, helping architects understand, explore, and share their designs. Reality capture software to convert reality into a 3D model or 2D drawing that’s ready for further design. 1. What is the Autodesk AEC Cloud-Connect Promotion? Between May 7, 2017 and July 21, 2017 (dates inclusive), customers who purchase 5 or more subscriptions of Autodesk® BIM 360™ Team, Autodesk® BIM 360™ Docs, Autodesk® Revit® Live, Autodesk® ReCap Pro™ receive 40% off the suggested retail price and customer who purchase 5 or more of Autodesk® Collaboration for Revit® receive 25% off the suggested retail price. Condition: The discounted product(s) must be purchased at the same time during promotional period. Terms & Conditions can be found here: http://www.autodesk.com/campaigns/aec-cloud-connected-promotion-tcs. 2. Where can customers learn more about this offer? Customers can go to https://www.autodesk.com/campaigns/aec-cloud-connected-promotion for more information about the BIM 360 Team, BIM 360 Docs, Revit Live, ReCap Pro or Collaboration for Revit promotion. 3. Where is this promotion being offered? The offer is available in the United States and Canada. 4. Where can Promotion pricing be found? Promotional pricing is available through Participating Partners and/or the Autodesk Store at www.autodesk.com/store. 5. What products are eligible for the discount? New Subscriptions for the following products are eligible for the discount: Annual, Two Year, or 3 Year Subscriptions of BIM 360 Team, BIM 360 Docs, Revit Live, ReCap Pro or Collaboration for Revit subscriptions when purchased in quantities of 5 or more. 6. How many discounted products can be purchased? A limit of 24 total subscriptions at the promotional price by product. 7. What is BIM 360 Team? 8. What is Collaboration for Revit? 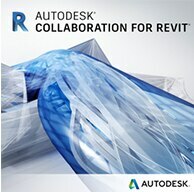 Collaboration for Revit® is a cloud service that works with Revit® to connect project teams so they can work together on shared building information models. 9. What is Revit Live? Revit® Live cloud service turns Revit and Revit LT models into an immersive experience in one click, helping architects understand, explore, and share their designs. 10. What is BIM 360 Docs? Built specifically for the AEC industry, and designed to connect contractors and construction project teams, BIM 360 Docs delivers a complete, connected solution to manage all 2D plans, 3D models and other project documents. 11. What is ReCap Pro? 12. Are the discounts available to customers renewing either subscription or maintenance plans? No. The discount is only for new subscriptions when purchasing 5 or more subscriptions at one time. 13. Can the offer be combined with any other offers? No, the offer cannot be combined with any other promotions unless otherwise stated. 14. How many subscriptions must be included to receive the discount? A minimum of 5 or up to 24 of the same qualifying subscriptions with the same term must be ordered at the same time to receive the discount. 15. Are Accounts with Enterprise Business Agreements eligible to participate in this offer? Discounts offered by Autodesk under this offer cannot be combined with any discounts provided by Autodesk to contracted accounts according to any relevant agreements. Example: Accounts with EBAs (Enterprise Business Agreements) are not eligible. Named Accounts may choose to select either the contracted discount OR the promotional discount, but not both. 16. Can customers co-term the new discounted subscription with their existing Autodesk subscription contracts? Yes. Pricing will calculate for the co-termed contract length and apply the appropriate cost inclusive of the promotion discount, where applicable. Offer subject to reseller participation. Channel partners are independent and free to set their own prices. Reseller prices may vary. 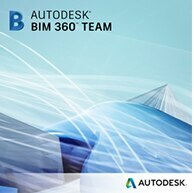 Autodesk, the Autodesk logo, Revit, Recap, and BIM 360 are registered trademarks or trademarks of Autodesk, Inc., and/or its subsidiaries and/or affiliates in the USA and/or other countries. All other brand names, product names, or trademarks belong to their respective holders. Autodesk reserves the right to alter product and services offerings, and specifications and pricing at any time without notice, and is not responsible for typographical or graphical errors that may appear in this document.